September 16, 2013 — I think I’ve discovered the ultimate secret ingredient: Pop Rocks. I mean, I didn’t just discover Pop Rocks. My parents raised me with some culture, after all. I mean I discovered Pop Rocks as a food additive. Or, dare I say it, a condiment. This Halloween Season, most people are talking about the General Mills monster cereals or the candy corn-shaped Starbursts or the Pumpkin Spice M&Ms. 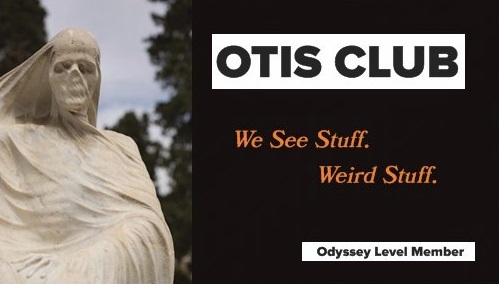 Those are definitely great and all…but I think they’ve missed a much more original revelation for 2013. Snappin’ Skulls. Chocolate skulls embedded with Pop Rocks. 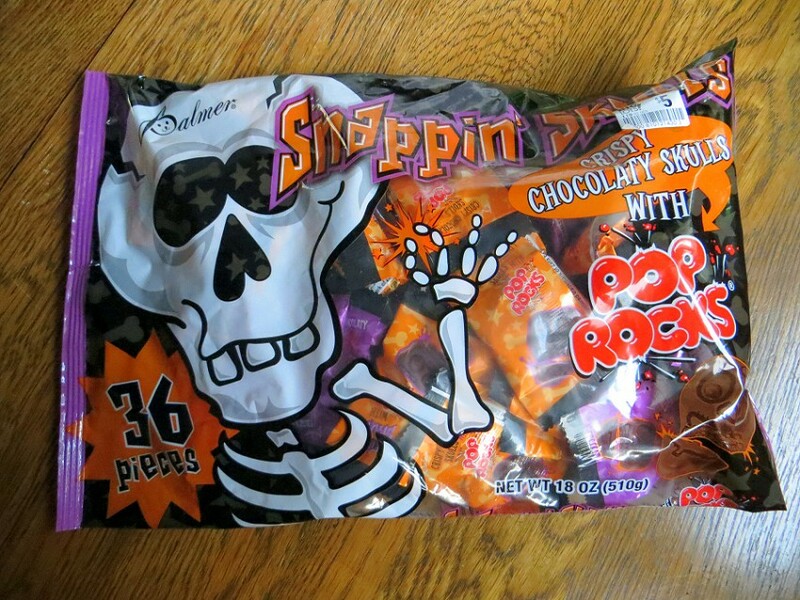 When I first saw the skulls, I immediately placed them in that category of generic confection that comes out every Halloween. Most of the year we have like five companies pushing chocolate at us. Then comes Halloween and everybody from tire manufacturers to timber harvesters become chocolate makers. That’s because the quality of the chocolate doesn’t matter at this stage. Only that it’s molded into eyeballs or gravestones. But I was so wrong about RM Palmer. RM Palmer has been around since 1948 and is headquartered in Pennsylvania like that other chocolate company. They specialize in holiday candies, focusing on Easter in the beginning and then, over the decades, adding Christmas, Valentine’s, and eventually Halloween to their repertoire. Basically, they discovered that every day is an occasion for chocolate for most of us. Also self-loathing, but Palmer hasn't found a way to package that yet. I felt a bit of candy déjà vu when I picked up the Snappin’ Skulls. I thought I’d seen them before, although I was certain I’d never tried them. However, according to the admirably Halloween’d out Palmer website, these guys are new for 2013. Still not quite believing it (I had, after all, just met them), I did a 20-second Google, but saw no other mention of anything even close to this concept, except for a Pop Rocks-branded candy bar that I’ve never seen in the wild and might be the candy version of a cryptid. The purple and orange are just package variations, not flavor ones. Let’s start with the name. Snappin’ Skulls. It’s a good’un. They could’ve gone with crackle or pop, obviously, but snappin’ gives the idea of the skulls nipping at you while you’re nipping at them. Shape-wise, the skulls look like, I don’t know, badly shaped skulls. They have the right features, big holes for the eyes and nose, toothy mouth, but the head is, well, square. I briefly played with the idea that they were Frankenstein Monster skulls, and Band-Aids on the foreheads could possibly be covering up the scars from having brains shoved into them with toilet plungers. But neither the package wording nor the art really back that up. So the theory I’m sticking with is that they just repurposed a preexisting mold for some other chocolate shape to save a few bucks. After all, they had to set aside some money for licensing. 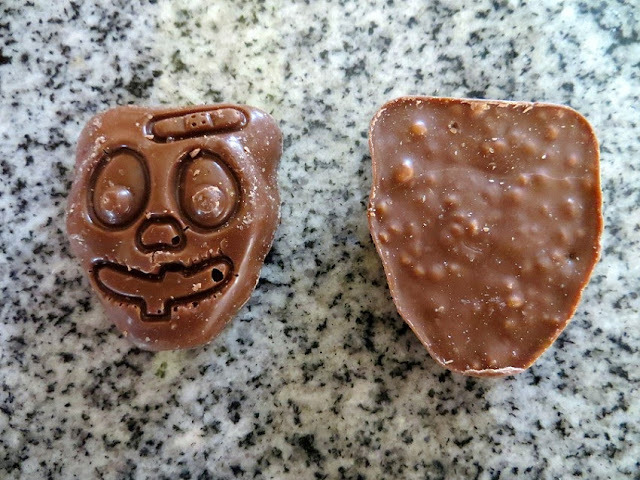 Because embedded in that malformed chocolate skull are actual Pop Rocks, not some generic carbonated candy…if that’s even possible since I think Pop Rocks are a patented invention. Real, honest-to-God Pop Rocks. The things that didn’t killed Mikey. Now, Pop Rocks aren’t new to the Halloween scene. 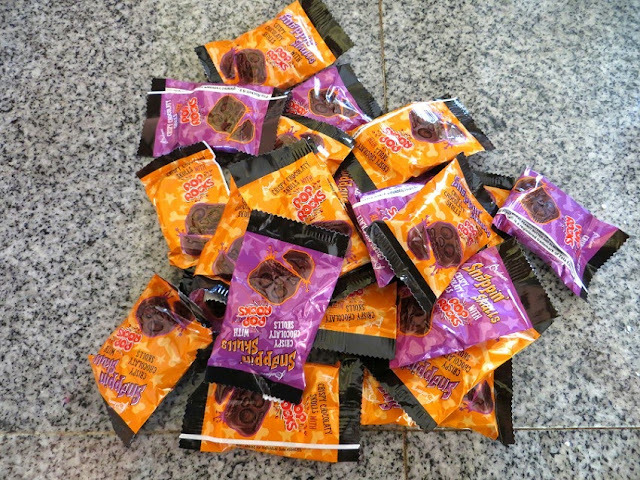 They usually come out in orange and green colors in packets with pumpkin art on them. But coming to us Trojan Horse’d in our ghoul-shaped chocolates is a whole new strategy. And one that, I think, should be lauded. The chocolate is pebbled with colorless Pop Rocks along with those crispy rice bits that you find in Nestle Crunch bars. Eating these chocolate-matrixed Pop Rocks sounds like it needs to be experienced to understand, but not really. The chocolate acts like chocolate and the Pop Rocks act like Pop Rocks. That means they sizzle a bit in your mouth and, every once in a while you crack one just right with your teeth for a satisfying pop. I mean snap. The effect was dampened a bit by the chocolate, probably purposefully...candy chemistry is all about balance, but I'd of been okay if they made it more intense. I kind of feel that way about packaged Pop Rocks, too, though. I’ve always wanted them to feel a little bit more dangerous in my mouth, to leave it shredded like I’d just eaten a bowl of Cap’n Crunch in battery acid. I like to fight with my food. But the takeway is that I want Pop Rocks in all my foods now…sprinkled on salads, stuffed into Hot Pockets, peppered onto tacos. I mean, it’s like discovering carbonated beverages. You never want anything flat-tasting after you’ve fallen in love with Coke. And speaking of that, now that we’ve covered the snap and the crackle, it’s time for the pop. Anytime I have Pop Rocks, I want soda. The deadly pairing of the two carbonated consumables started out as an urban legend, became a rite of passage, and is now a perfect match. A lot of relationships follow that course. 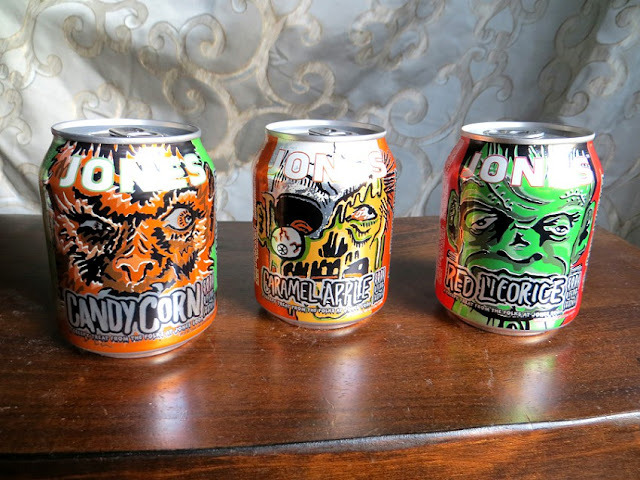 Fortunately, Halloween Jones Sodas are back this year. Jones Soda is known for its novelty soft drinks. You’ve seen the bottles with the irrelevant black-and-white labels that can come in flavors as far-ranging as turkey and gravy to jelly doughnut to even dirt. For Halloween, though, they often shed the bottle brand for brightly artworked mini-cans. 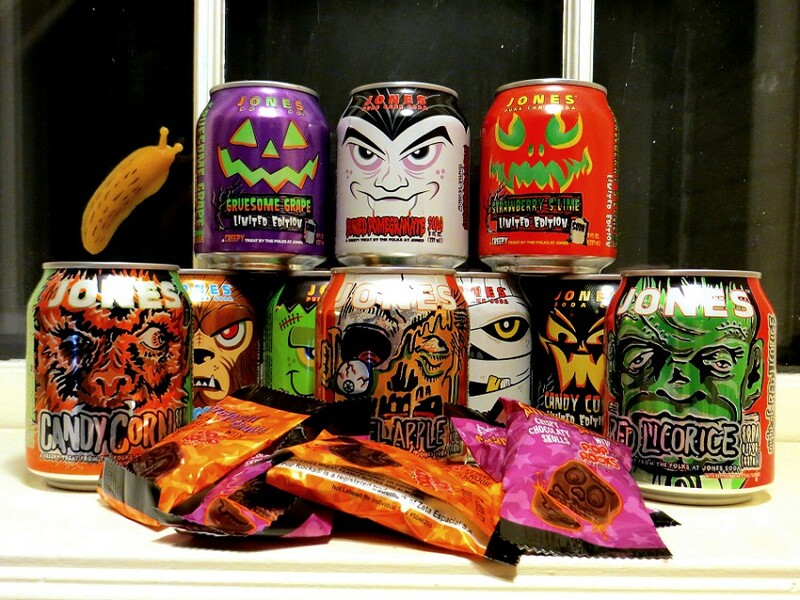 Past Halloween flavors have included such taste bud torturers as Spider Cider, Gruesome Grape, and Strawberry S’lime, and the artwork on the cans has gone from carved jack-o-lantern features to cartoony monsters. For some reason, I always pick these up and would pretty much have a complete collection of them except that every year one gets dropped and punctures and sprays its contents all over my Halloween decorations or cuts out the middle man and just explodes in storage. When that happens, I just sigh and hope it gives my collection its own character. Last year Jones didn’t come out with anything new that I know of, so this year they made up for it…that I know of. 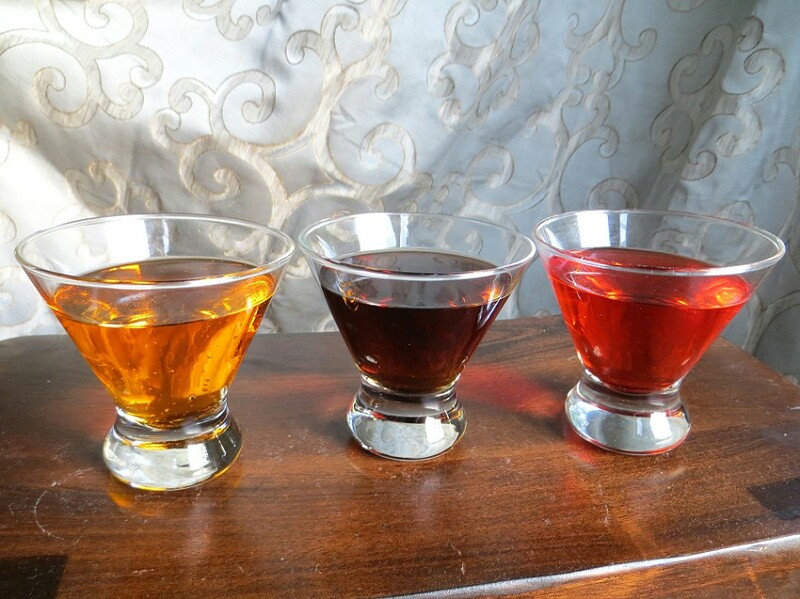 The four flavors this year are red licorice, candy apple, candy corn (called “Return of Candy Corn” in the monster parlance), and blood orange. Each one is decorated with a monster in what seems to be an EC Comics-inspired art style. Note that I haven't found the blood orange can with the vampire on it yet, so that's missing from this post. Candy corn has a werewolf for a mascot. The color of the soda is orange, but not neon-bright like many of the past Jones Sodas have been. 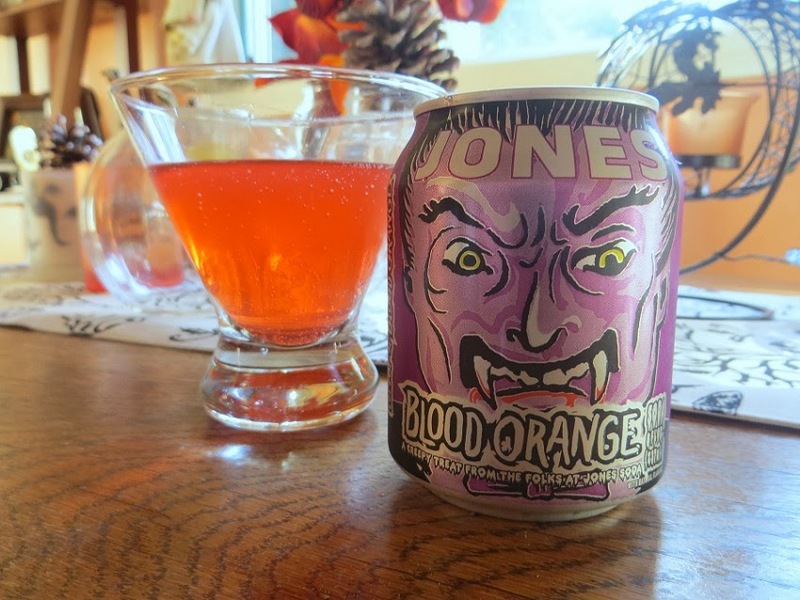 I mean, I’m an inveterate consumer of artificial flavors and colors, but the Halloween Jones Sodas have always given me pause. Just pause, mind you, but pause nonetheless. The taste of the candy corn soda is more subtle than its predecessor, which was pretty close to unpalatable. This one, while not really a flavor you want in your regular rotation, won’t stop you from drinking all four that come in the pack over the course of the next month and a half. Next is Caramel Apple. It has a rotting zombie face on the can that, I now realize, is a pretty good metaphor for a candy apple. This soda was cola-colored. Makes sense, caramel coloring and all. It tasted better than the candy corn, which also makes sense as apple drinks aren’t abnormal. Again, they went more subtle than their usual style. For the better, I think. Finally, red licorice. It has good old Franky on the can and is surprisingly good. The smell of red licorice is strong right when you open the can, and it immediately tasted familiar, although it took me a few seconds to realize why. Simply enough, it tastes like when you drink soda through a Twizzlers straw. You know when you bite each end off a Twizzler and then drink soda through its hollow insides. I didn't have to explain that, did I? Actually, Red Vines might be a more accurate flavor description, but I don't think I've ever made a Red Vines straw. I really think they’re on to something here. The major soda brands should really look into this. I mean, just writing about it right now at 11:30 at night makes me crave Twizzlers and Coke. And I think that's where I'm going to (finally) end this. I assume that I've given you enough in this post that you can clearly envision my personal version of Utopia: Foods that explode in my mouth and drinks that taste like candy. Basically, Big Rock Candy Mountain. UPDATE: Finally got around to checking out the blood orange flavor. Probably the most straightforward of the group since it's already a conventional drink flavor. Blood orange in general is still trying to make itself a permanent place in our Halloween cabinets thanks to its name (and color, I guess). We'll see if it gets there. Being a Jones Soda flavor is definitely going to help that cause.